Parents have been raising the alarm about instructions on how to slit one's wrists posted in YouTube videos targeted at children — showing that inappropriate content is continuing to slip through the online streaming site’s filters. A U.S. pediatrician is raising an alarm about instructions on how to slit one's wrists posted in YouTube videos targeted at children — showing that inappropriate content continues to slip through the online streaming site's filters. On Feb. 15, one such suicide sequence was found nearly five minutes into a cartoon on YouTube by emergency room pediatrician Dr. Free N. Hess, who reported it on her blog, Pedimom and to The Washington Post, which published a story on its website Feb. 24. Seven months earlier, Hess had posted a complaint from another mother, who also worked as doctor, who had found the same video sequence on YouTube Kids, a video app that is specifically targeted at children and billed by YouTube as "a family-friendly place for kids to explore their interests." In that video, a man appears four minutes and 45 seconds into the video. "The man quickly walked in, held his arm out, and tracing his forearm, said, 'Kids, remember, cut this way for attention, and this way for results,' and then quickly walked off," the woman reported anonymously. In both cases, the videos were eventually removed after they were reported to YouTube. When asked about the videos in an email exchange with CBC News, the video site responded that YouTube is not intended for kids under 13. As for YouTube Kids, it said: "We work to ensure the videos in YouTube Kids are family-friendly and take feedback very seriously. We appreciate people drawing problematic content to our attention, and make it possible for anyone to flag a video. "We are making constant improvements to our systems and recognize there's more work to do." The incidents occur more than a year after widespread complaints about Youtube videos that feature twisted versions of children's shows such as Peppa Pig, showing torture, characters drinking bleach, and Peppa eating her father. Following those reports, Youtube said it had taken steps to add more moderation and step up enforcement of guidelines for videos aimed at children. 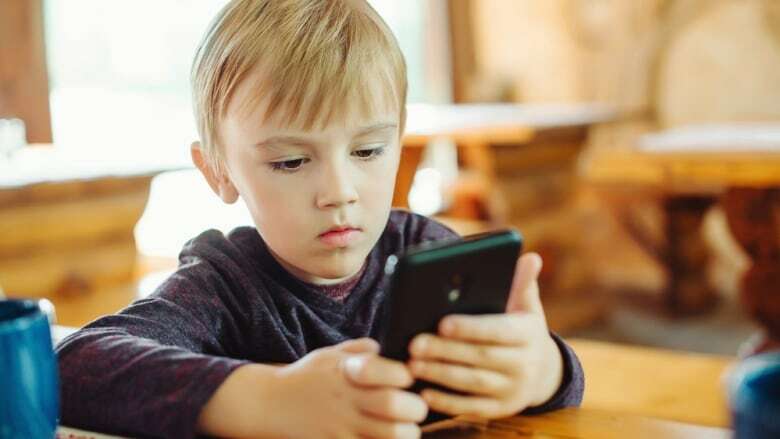 It added that it takes a few days for content to migrate from the main YouTube platform to YouTube Kids, and hoped that users would flag inappropriate content in that time. If you or someone you know is having suicidal thoughts, there is help.